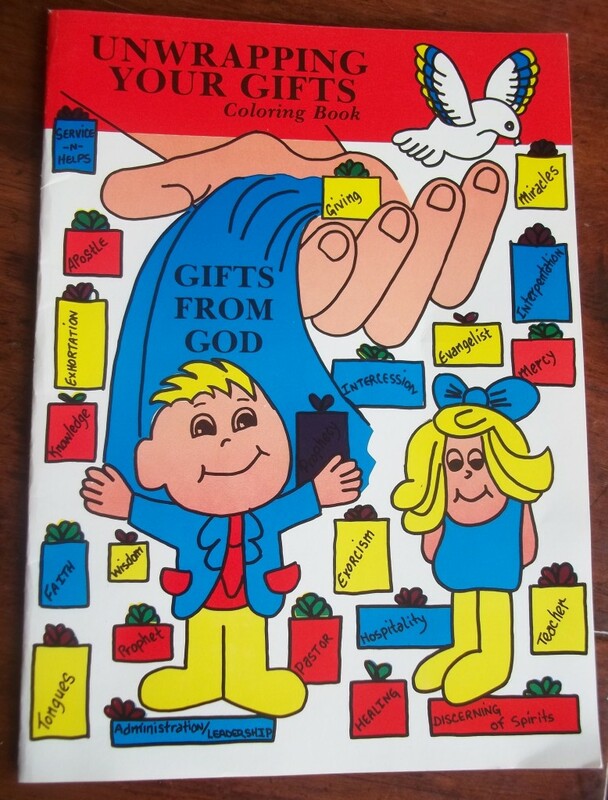 Found in the old file cabinet, a coloring book we had apparently picked up for our kids at some church conference circa 1988 or 89? Sadly – we never got around to having them color these images. 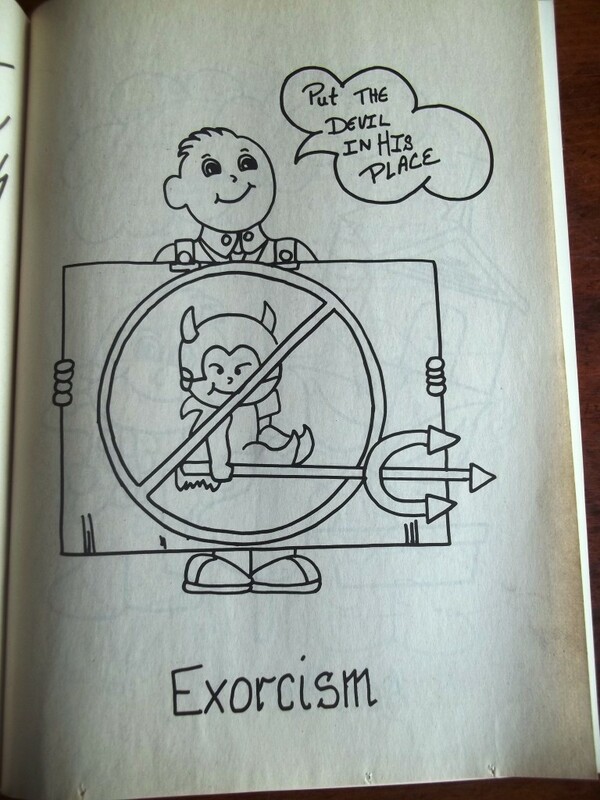 Which may or may not have hampered them in the gift of exorcism. HAHAHAHAHA oh my gosh I HAVE to see this thing – hilarious!